very solid tag. vibrant colors. i expect it to last a very long time. highly recommended. Great service and beautiful dog tag. 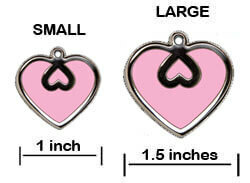 I’ve ordered many of their pet ID tags over the years for my dogs. They are the best quality, virtually indestructible. They will last forever, the color stays on, so does the engraving. Simply the best! LOVE LOVE THESE ID TAGS. THEY ARE STYLISH AND HOLD UP EXCEPTIONALLY WELL! The item is what I ordered, but our name was misspelled. I didn't want our dog going any longer without an ID TAG so I didn't exchange it. It took way too long to receive it, I didn't want to wait again. Unfortunately, I am disappointed about this order. These are the only tags we purchase for our dogs. 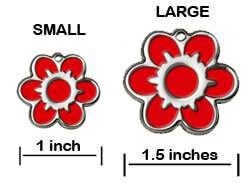 They are second to none, very durable and a nice heavy weight... we love the designs! This product is made extremely well. It’s the only one my dog hasn’t been able to chew up.